We pride ourselves on the quality of advice we provide to any and all customers. Our Operations Director Paul Clatworthy and Managing Director Tony Morgan are based at our head office in Newport and both are on hand 5 days a week to deal with customer enquiries, offer advice and provide solutions. Our extensive knowledge of ground anchoring comes from both developing the product range and installing them at many national events from Glastonbury and Boomtown Fair to The Royal Welsh Show and many, many more. It's this 'hands on' experience of 'spiral' or 'helical' anchors that gives our team superior knowledge and understanding of how the product works in many different soil types and conditions. As our business has developed so too have our list of services. We offer on-site support for both new and existing projects. 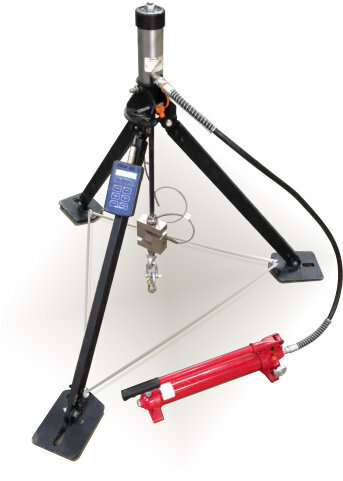 Spirafix Ground Anchor test rig developed at our Newport workshop. An excellent and very easy piece of kit to use. We have a team of Accredited Spirafix Installers who are ready to take the job off your hands. We'll turn up on site with the correct Spirafix and the correct equipment to install your anchors for you. We do all the work so you don't have to. We pride ourselves on our ability to solve your anchoring needs - and we learn most when we are out on site. So we enjoy getting out and about and working collaboratively with industry professionals to find solutions for any ground anchoring challenges. Over the course of our history we've learnt a great deal about using and installing spiral anchors - and so we are perfectly placed to carry out your installations. We pride ourselves on our design and manufacturing expertise and we've helped many of our customers with bespoke brackets and fixings. Our ground anchors are easy to install and easy to remove - they provide superior load results** and are a first class solution to most outdoor anchoring challenges. However, if your project requires a specific fixing method we can nearly always provide a solution - and what's more we generally can get it made for you too. We provide a vast amount of information on our website and receive feedback from our customers to tell us we've got it right. But it doesn't suit everyone, so we offer great additional telephone support which can be backed up by on-site visits for sizable projects. We are happy to discuss our training services where we can train just one Project Manager or a team of installers. The better trained you and your team are the easier the installation, the quicker the job is completed and the more money you make. That's our aim - to help you achieve efficiencies and improvements to your current anchoring methods through the use of our knowledge and product range. 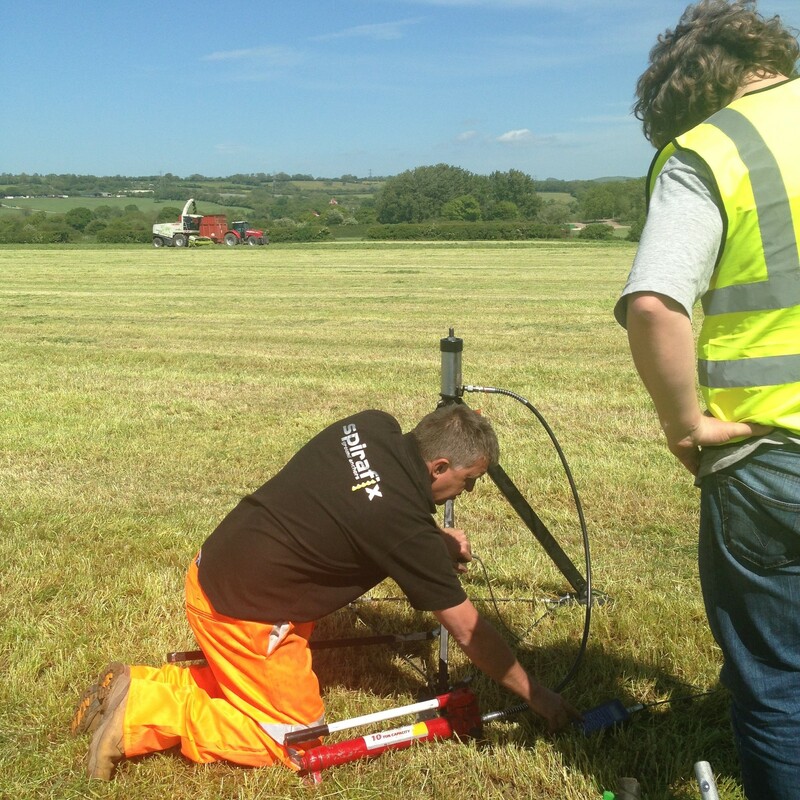 Spirafix Operations Director Paul Clatworthy carrying out on site testing at Worthy Farm for Glastonbury Festival.